If you require different information or logos to be included in your company emails, you can use standard HTML to add custom headers and / or footers to them. In addition to the Default settings, you can separately customize Alert, Favorite and Collaborative emails. 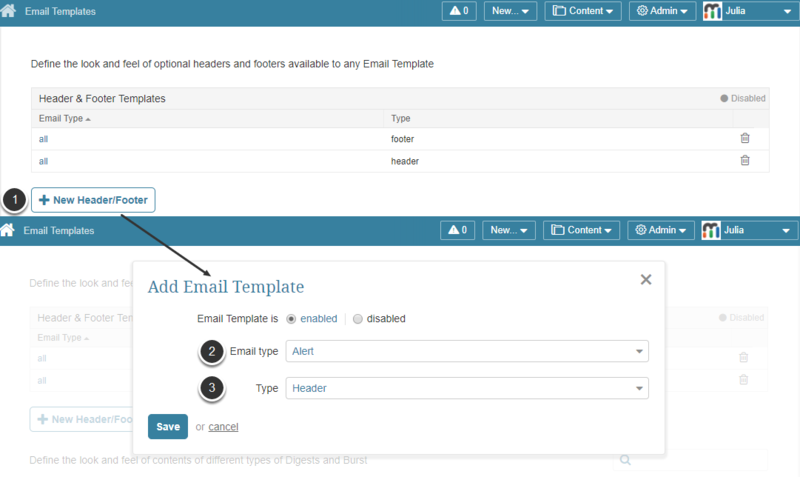 If you specify a custom header for an email type, but do not specify a footer, the default footer will be used. 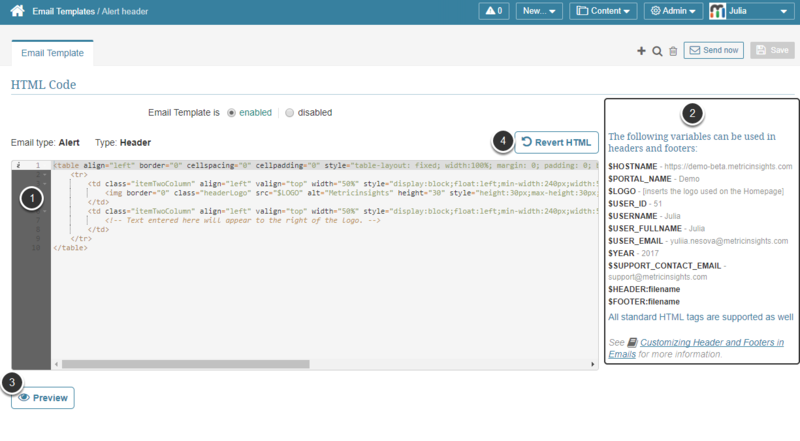 To omit a header or footer, enter blank HTML statement. Note: You can only have one email template per Email Type/Type combination. For example, you cannot have more than one alert header template. Prev: Element name in MI changed to "default name". What should I do?